In recent years, phytomelatonin has become even more important because of its numerous useful properties in plant metabolism. 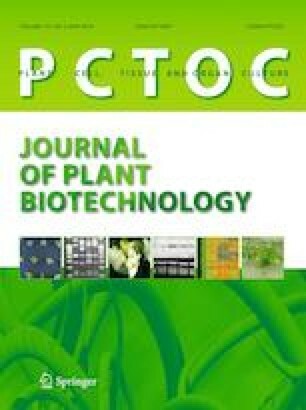 In this study, different concentrations of melatonin (MEL) (0, 100 and 200 µM) were used to investigate the changes in the accumulation of phenolic compounds, and the aromatic content of rosemary (Rosmarinus officinalis L.) leaf explants by callus culture. MS medium supplemented with 1.0 mg/l BAP and 2.0 mg/l NAA was used to induce callus production for determining the changes in secondary metabolites. Phenolic compounds such as rosmarinic acid, caffeic acid, p-coumaric acid and hesperidin and forty-five aromatic compounds were identified from rosemary leaf calli and measured by HPLC and GC/MS, respectively. 200 μΜ MEL increased the amount of rosmarinic acid (680 µg/g) compared to the control group (275 µg/g). However, 100 μΜ MEL increased the caffeic acid content (34 µg/g) two times higher than in the control group (17 µg/g). These findings were very remarkable for rosemary phenolic compound accumulation and it can be said that MEL could be a useful elicitor for rosemary. Totally, 200 μΜ MEL was more effective than 100 μΜ MEL in changing the aromatic content of rosemary calli. Also, some important aromatic compounds such as linalool, styrene and methional were only detected in MEL treated calli and not seen in the control group. The use and function of melatonin in callus culture systems as an elicitor to detect the change in secondary metabolites of rosemary leaf explants. SK conceived the idea. YC and RED designed the research. SK, YC and RED performed the research. YC and RED conducted the experiments. SK, YC and RED analyzed the results. YC wrote the manuscript. All authors read and approved the manuscript.